“Stitch” and create your own design! 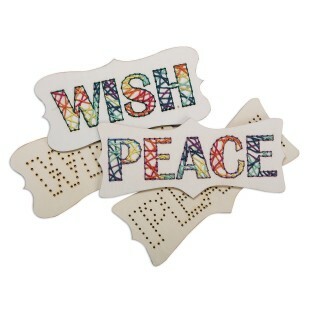 12 each of 2 designs - Wish and Peace. Use a variety of yarn, floss or string to easily “stitch” and create your design. Unfinished wood can be painted or decorated or left unfinished. Decorating supplies and stitching materials sold separately. 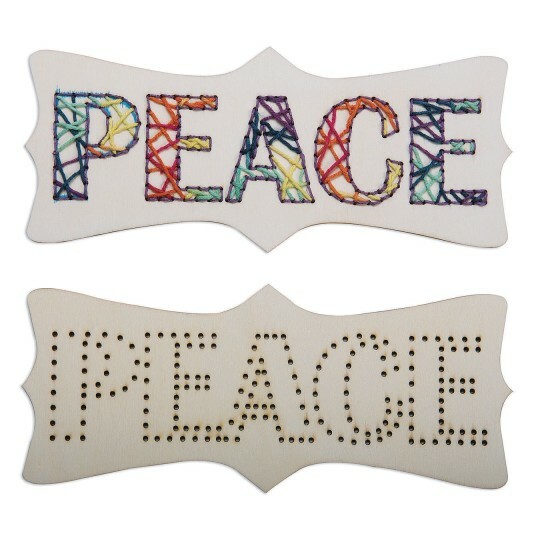 Peace plaque is 9” x 4” x 1/8” and Wish plaque is 8” x 4” x 1/8”.